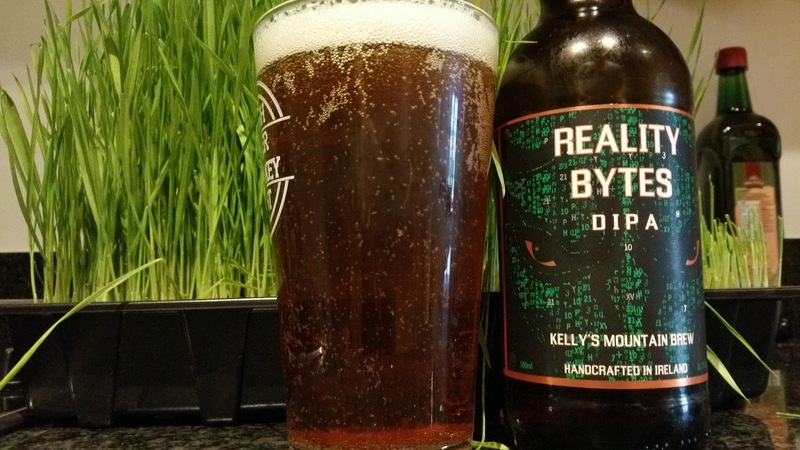 Kelly's Mountain Brew recently brought out a new DIPA, well I say recently but I think it was the beginning of the year. I rather liked the branding when I saw it on the shelf at Supervalu the other week so I picked it up. As an IT guy, I love the name too. I already had an idea in my head that it would be similar to O'Hara's DIPA because they are both only 7% which is right in that crossover of what one might consider an IPA compared to DIPA. The hops mentioned on the bottle are interesting though so I could hardly go wrong. 70 IBU is a good level of bitterness too so how did it actually taste? The aroma is all malty caramel. Not much hops actually which was disappointing. It tastes rather sweet with that chewy caramel body I love in a good DIPA but balanced by a generous level of bitterness. It's not a DIPA gone mad and really is closer to an IPA than DIPA in my opinion. The lack of aroma is where it's really let down. That said, the beer is far more drinkable than many a DIPA out there and I could easily enjoy a few pints of this, but just a few as 7% is still 7% after all. I think Kelly's may have missed a trick here. 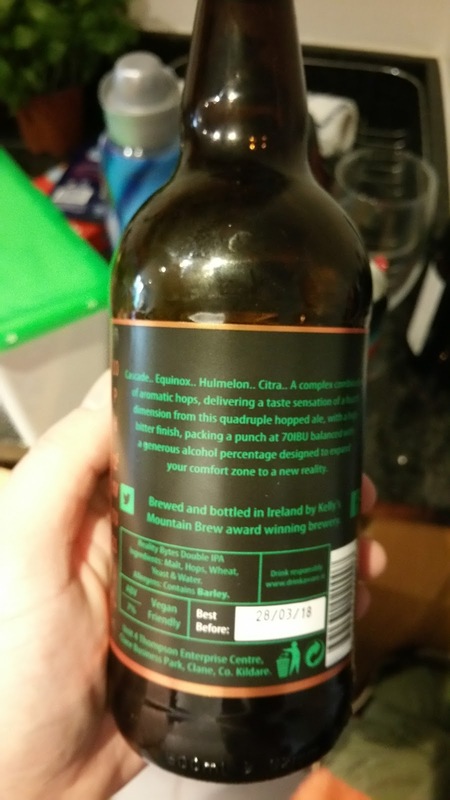 There are 8 bits in a byte so instead of using 4 hops, they should have used 8. That might have achieved the desired aroma.